Does your heating keep failing, make unusual sounds, or is your hot water unreliable? Are you looking to reduce your bills? We build our boilers to the highest standards to ensure quiet heating and hot water comfort for your home. They are so efficient, they can help you reduce your bills and energy use by 30%. It can be hard to understand exactly what your installer tells you when fitting a heating system. We created a guide that simplifies the language and cuts through the jargon, laying out the terminology of the heating industry in plain English. Now, you’ll know exactly what's needed and can better understand your installer and heating system. Which is the right boiler for my home? Find your boiler. There are several types of boilers available and deciding what's right for you can sometimes be a little daunting. Get a free quote. Find your local Gas Safe registered Vaillant Advance installers and they'll be able to supply a quotation based on your heating and hot water requirements. Register your guarantee. Once your boiler has been installed, register the guarantee online (or your installer can do it for you). Please be aware that all new boiler installations must have an ErP rating of 92% in order to comply with the Government regulation, Boiler Plus. We have compiled answers to the most frequently asked questions. What will the new boiler cost me? A new boiler can be a significant investment. The cost of a new boiler can range from £500 - £2,500, and that's excluding the installation cost! New boilers are usually more energy efficient, meaning that whilst boiler replacement can be costly, it can also save money in the long term. How long does it take to replace a heating system? Normally a like-for-like boiler swap can be done in a day. This will obviously depend on how much other work is needed to upgrade your system to meet latest efficiency guidelines. Don’t forget, your new Vaillant boiler will work at it’s best using Vaillant controls. How can I ensure my heating system is always efficient? A requirement for a heating system installation is that it is Boiler Plus compliant. This means by law, your heating system must have an efficiency rating of at least 92%. The best way to comply with Boiler Plus and to be efficient is to fit a Vaillant control. Also, an annual inspection by a technician is required to ensure your new heating system remains reliable and most of all run safely. A well-maintained heating appliance is also more efficient. How can I ensure my heating system stays safe? Regular maintenance is essential. It will also increase the lifespan of your heating system. A trained technician checks whether all the safety functions are intact. They clean the appliance and perform checks, for example on boiler emissions. All prescribed maintenance work is defined in the installation and service manuals. We train our technicians regularly. 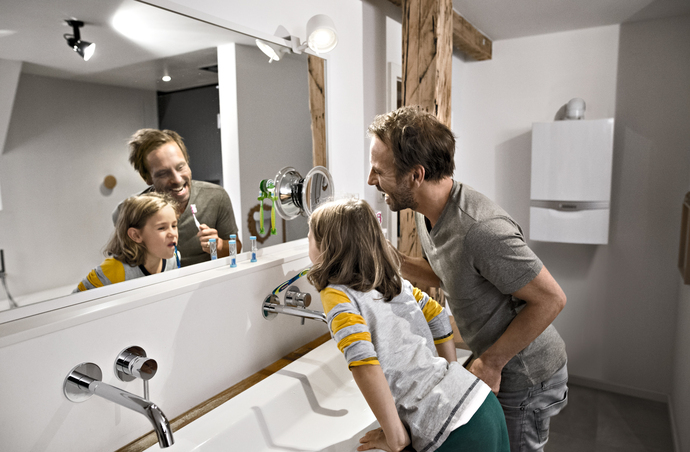 Vaillant offers maintenance agreements that bundle all the services associated with the heating system into one package. This saves you time, effort and money. What does the energy efficiency class of my heating system mean? 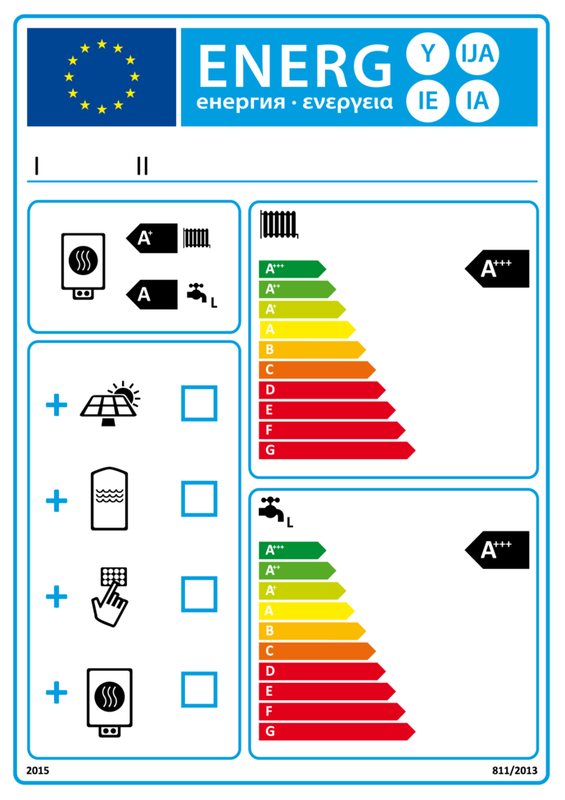 You will recognise the energy label from other household appliances, such as washing machines or fridges. The energy classes from A ++ (lowest energy consumption) to G (highest energy consumption) have been in effect since 2015 and also apply to heating systems. The label shows you whether a heating appliance is especially efficient, meaning if it uses the energy as optimally as possible. By adding extra components to your system, you can further enhance the efficiency class. For example, if you combine your new Vaillant heating system with a regulating control, you can often achieve efficiency class A+. What controls can I use for my new Vaillant heating appliance? We offer a great number of heating control options ranging from simple room thermostats through to Smart Home controls. Basic thermostats keep the set room temperature constant and let you create heating profiles. Weather-compensation controls adjust the supply temperature of the heating in line with the outside temperature, reducing consumption. Smart heating controls can do even more. For example, you can use a smartphone or tablet to adjust settings also when you are not at home.